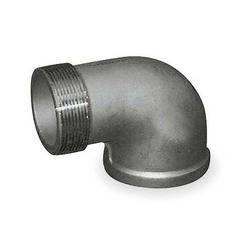 Being amongst the distinguished organizations, we are actively betrothed in providing to our clients with a supreme quality assortment of Stainless Steel Threaded Elbow. 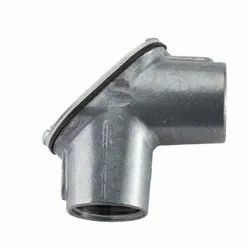 We feel proud to present ourselves as the foremost firms in this market place, engrossed in offering an exceptional, SS Pipe Elbow. We are renowned and trusted enterprises in the industry, offering a best quality array of Stainless Steel Elbow to our esteemed customers. These products are made from high quality components. So as to accomplish high level of customer trust, we are keenly betrothed in offering a broad consignment of SS Elbow. These are made-up using finest-grade material at well-armed fabrication unit. Presented products are reviewed on pre-defined constraint of quality for confirming their durability.